Toothpaste no longer comes in simple choices of fluoride and fresh breath. Paste is not even the only option! You can choose gel forms and even some with ribbons of color and flavor. With so many varieties available, it may be difficult to know which features or combinations of ingredients are best for your mouth. Dr. Dale Scharine and Dr. Alissa Edwards and our team are here to help! 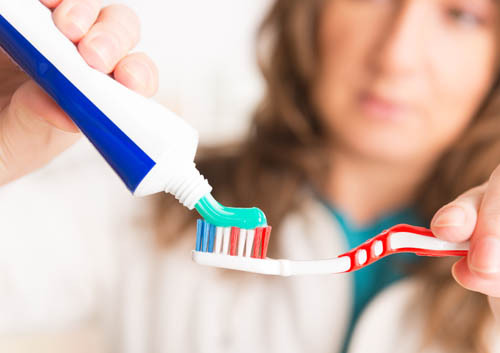 Since there is a wide variety of toothpastes and ingredients for preventing tartar and gingivitis, ask Dr. Dale Scharine and Dr. Alissa Edwards and our staff what the best choice is for your teeth. We can help you select the right combination of ingredients. White teeth are desirable, and manufacturers are heavily marketing whitening toothpastes. Most brands do not contain bleaching ingredients; they use abrasives to polish stains away. Unfortunately, too much abrasive use can be damaging to your teeth. If you’re interested in teeth whitening, our Appleton, WI team can recommend a number of safe and effective options. Feel free to ask Dr. Dale Scharine and Dr. Alissa Edwards and our staff at Elite Smiles Dental about the best choice in toothpaste to meet your individual needs. Remember to look for the ADA approval seal on any toothpaste you are considering.